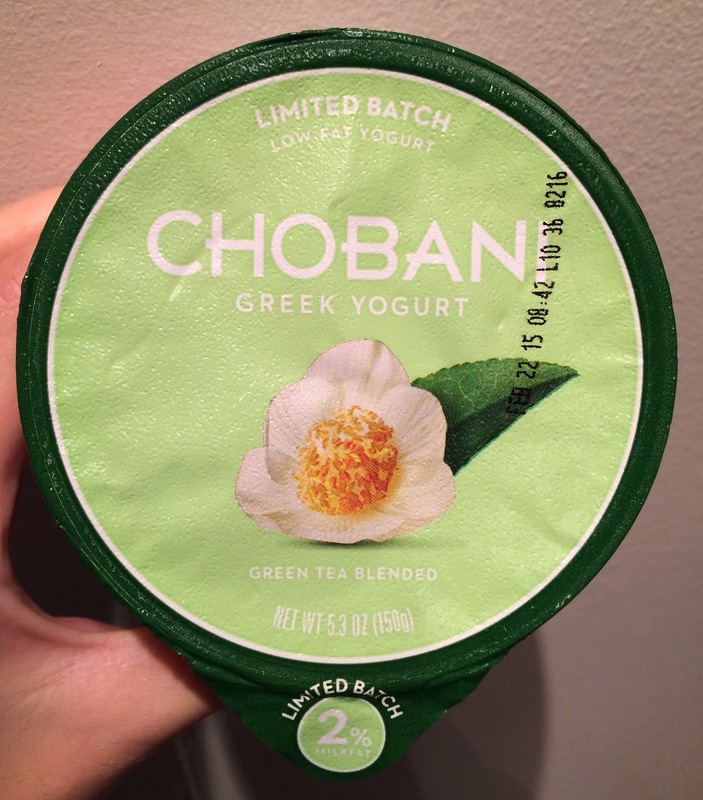 Today, I luckily found 2 limited batches of Chobani Greek Yogurt which I looked for a shop selling it using a store locator but no shop was matched, so basically I had to give up on them no matter what. One of the 2 flavors I found today is "Green Tea" with 2% of fat and it seems to have been launched on January 8, 2015 as their Facebook page introduced them that day for the first time. The lid was pale yellow green with a fresh green tea leaf and flower lined with dark green. The cup had dark and pale green with white and the same flower and leaf image. 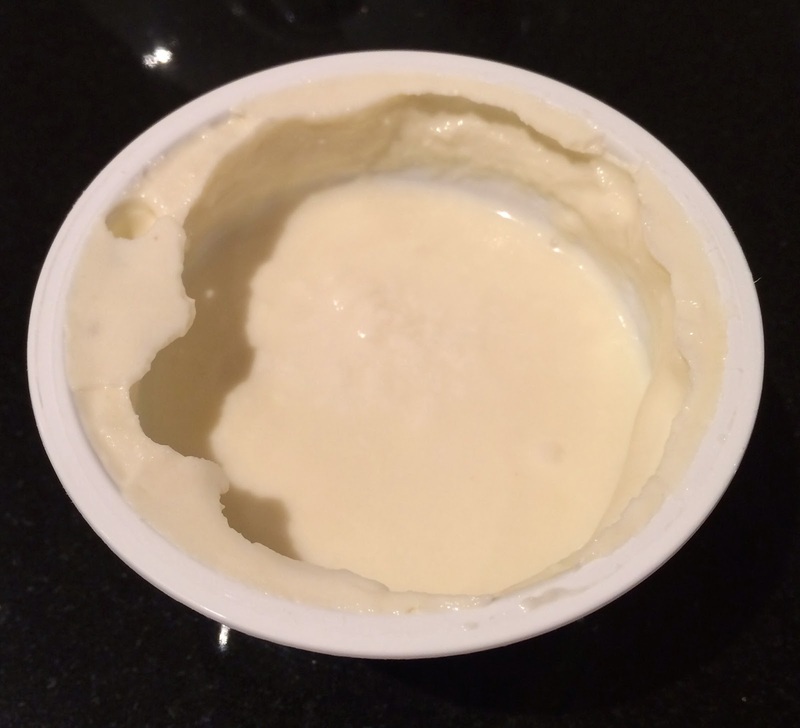 Right after taking off the lid, I saw plain-look yogurt but the color wasn't pure white but had subtle cream color. It had a little green tea flavor but I smelled lemon more. 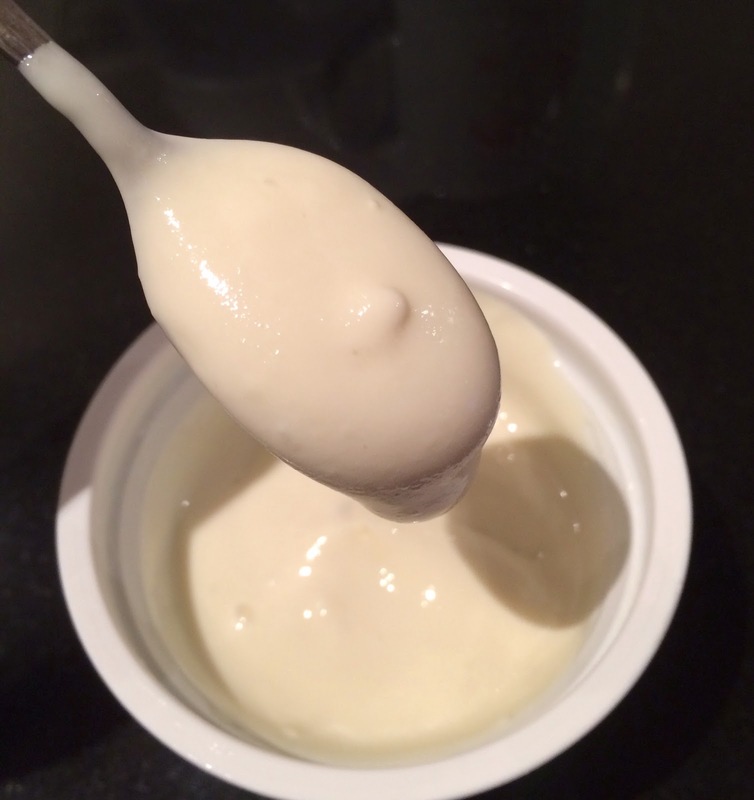 After mixing it well, it's creamy and smooth. It had very little and not-bitter green tea scent but again, I tasted lemon in this. The ingredients list had green tea essence, lemon concentrate for the color and lemon juice, and I think the lemon sort of overtook the green tea flavor. 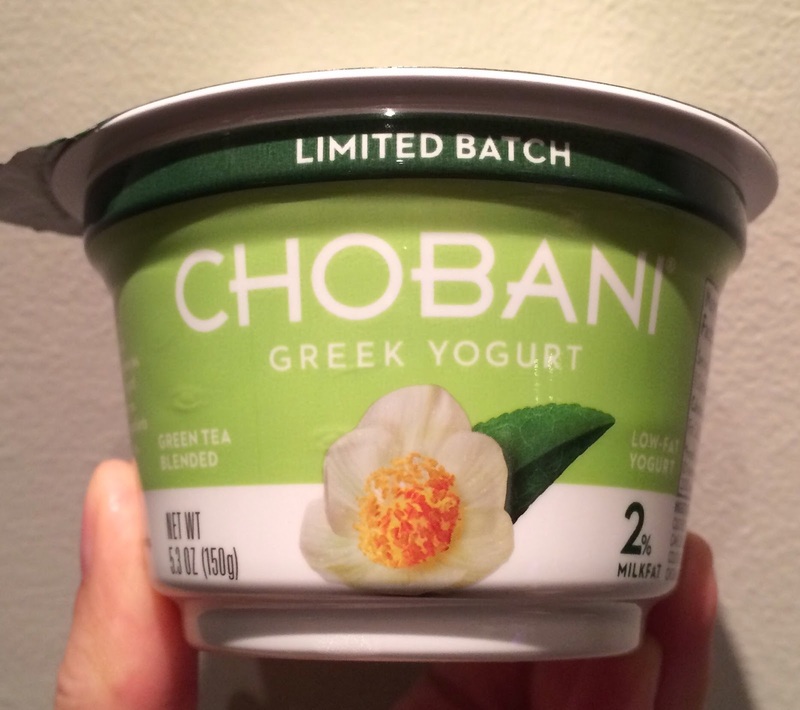 To me, it's "very light lemon" flavor as I had expected more noticeable green tea flavor.